Some educate in classrooms. 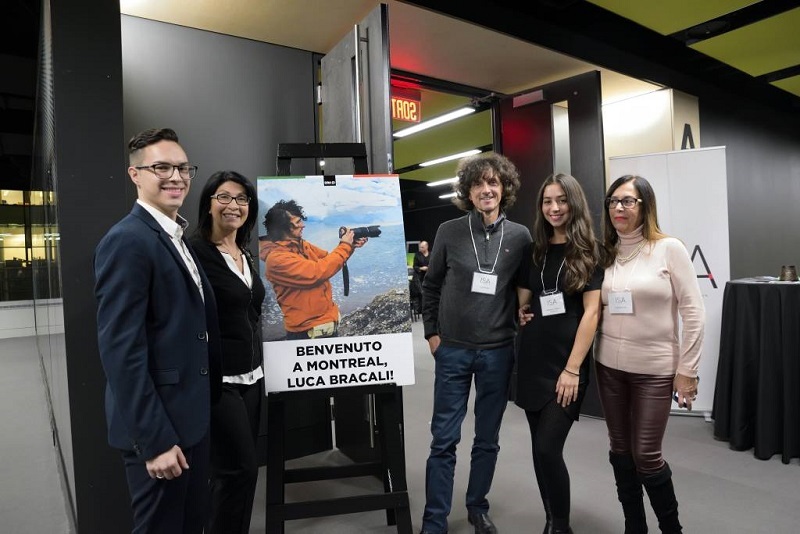 Others, like Luca Bracali, an Italian photojournalist, explorer and environmentalist, aim to educate youth about global warming through a camera lens. Bracali wanted people around the world to understand the importance of the environment, and he chose photography as the medium because it is “the most international language of all,” he said. Bracali’s love of photography started when he was a child. “When I was really young, I was really shy. I decided to start with photography [as an outlet].” His career began with photographing cars and fashion models, but he soon realized taking photos of material possessions was not fulfilling. In 1991, when Bracali began travelling the world, he discovered his true mission—to help save the planet using photography. “I fell in love with this after my first trip,” he said. Since then, Bracali has traveled to 140 countries and worked for National Geographic. His photography focuses on capturing the natural world’s picturesque mountains, wildlife, northern lights, deserts, prairies and icebergs. In 2003, Bracali traveled to Antarctica to visit the Vernadsky Research Base where a hole in the ozone layer was first discovered back in 1985. It was during this trip that Bracali decided he wanted to explore the topic of global warming and find ways to help protect the planet. Bracali said the ultimate goal of his photographs is to show the danger our planet faces because of global warming. “I try to capture something related to ice-melting, [or] something that is there now that won’t be there anymore in 20 years, such as ice or polar bears,” he said. When discussing the everyday habits people can change to help save the planet and reduce waste, Bracali emphasized the importance of conserving water. “For showers, maybe you can have two or three showers maximum per week,” he said. He also suggested people avoid long showers by turning off the water when using soap and only turning it back on to rinse off. “Water is a precious element,” Bracali added.